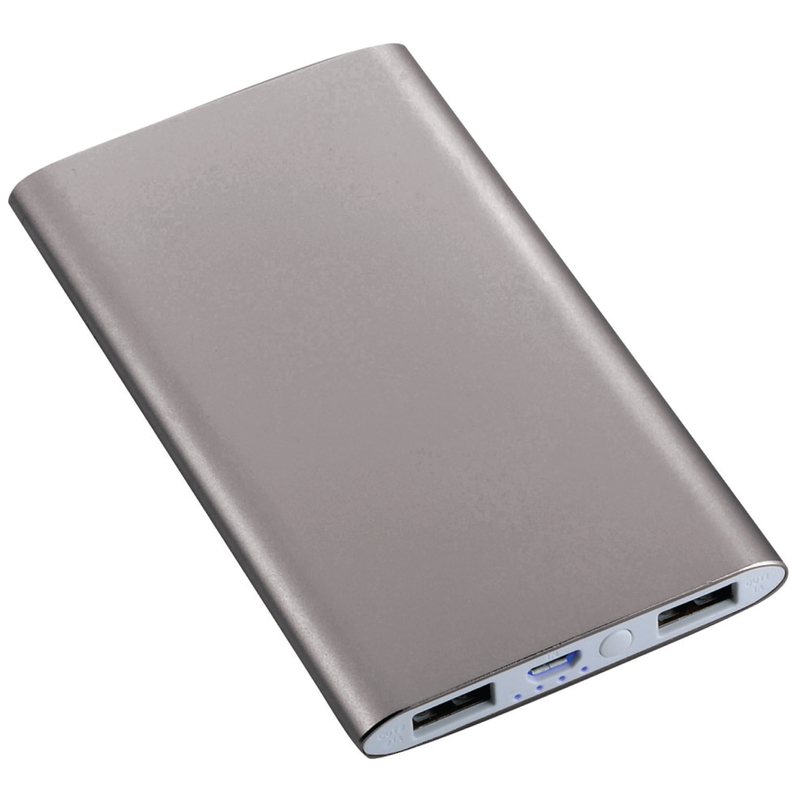 The Sleek Aluminum 4,000 mAh Power Bank is a rechargeable lithium polymer Grade A battery device powerful enough to charge smartphones, MP3 players and tablets with a total output of 5V/2A. 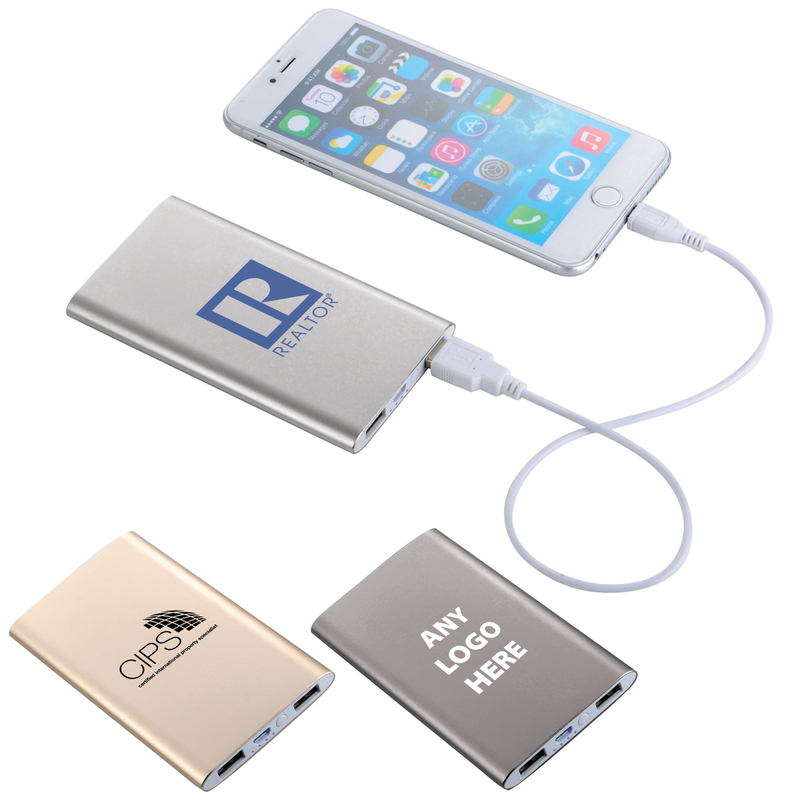 The dual output allows you to charge two devices simultaneously. It also includes a battery check button to ensure that you know how much battery life you have left. 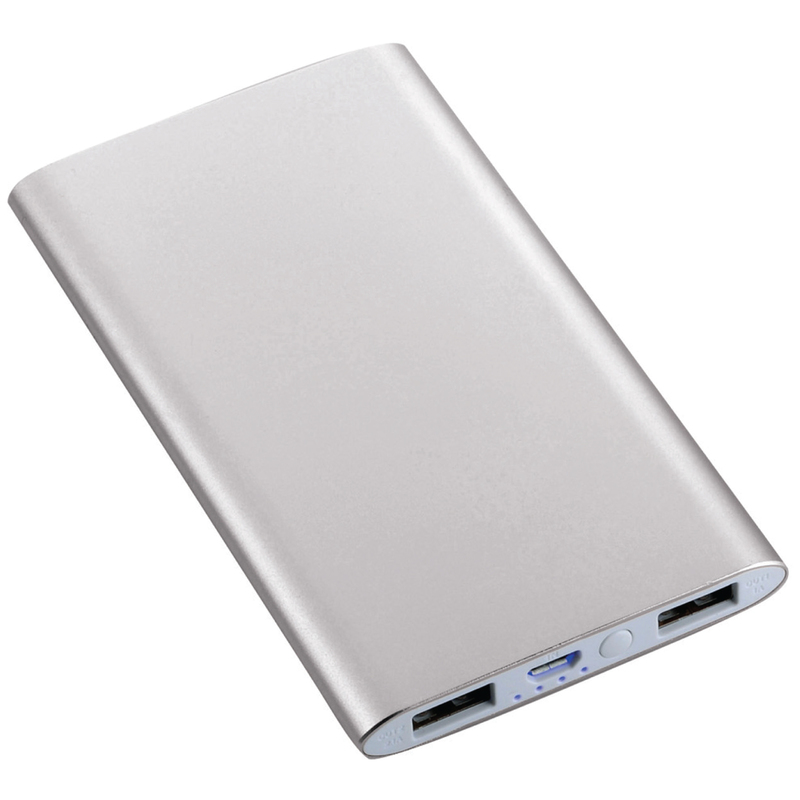 Reusable power bank charges via USB cable (included) which can recharge this backup battery. These are custom produced when you order them. 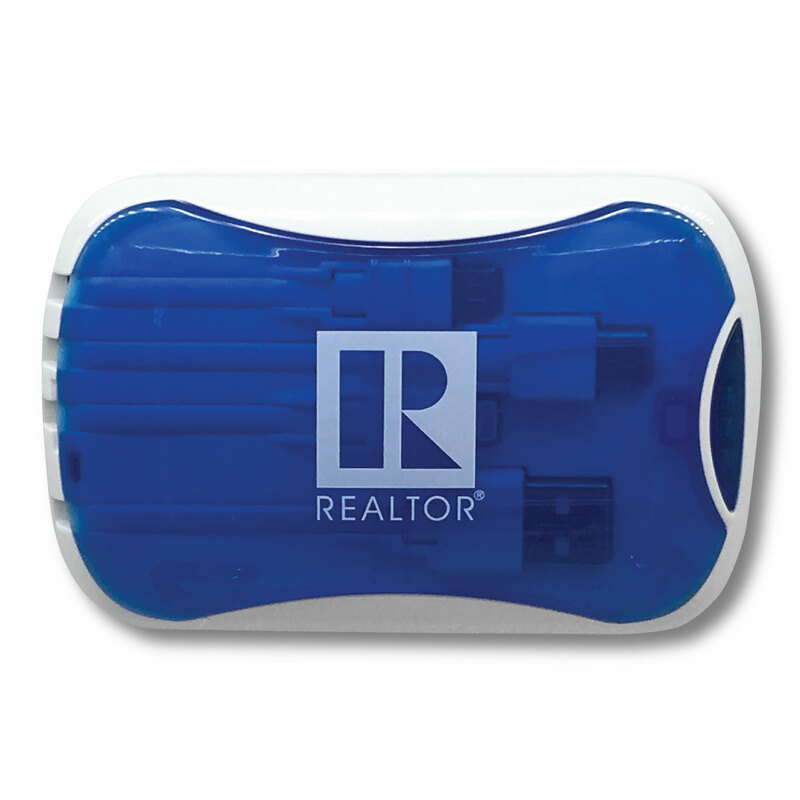 Available with the REALTOR® logo, almost all NAR logos, or your own logo. We have many NAR, certification and designation logos on file, just ask in the notes section below. Your item is "Built to Order". Because we custom make this item for you, it is not returnable. Please check all details very closely when placing your order. 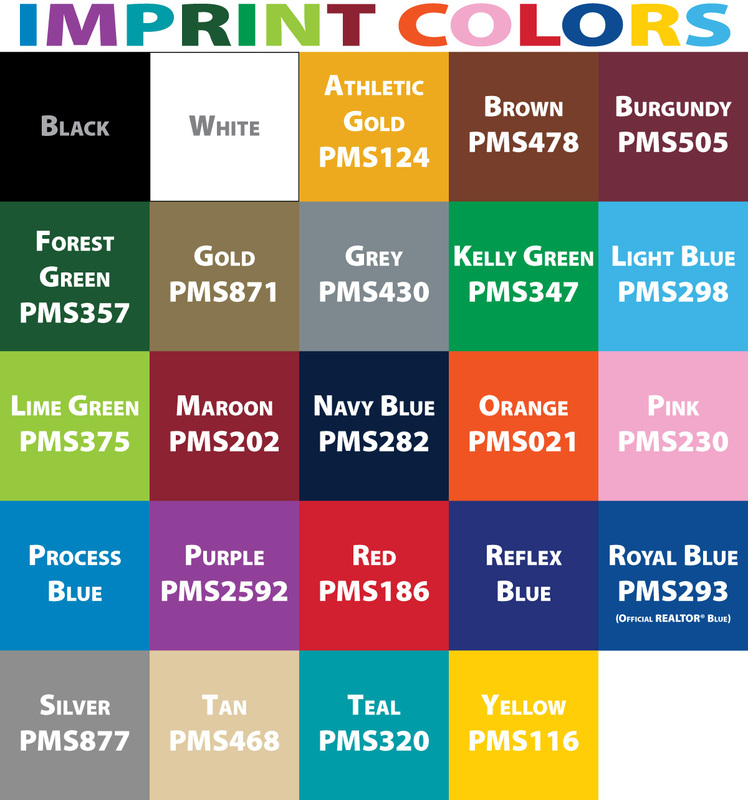 You must provide 100% Vectored Adobe Illustrator artwork in 1-color, or art charges will apply. The rush charge is per order.